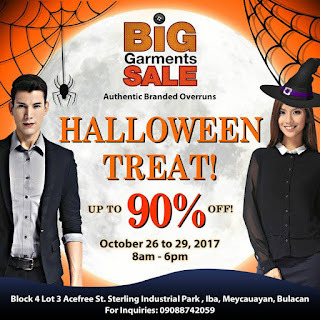 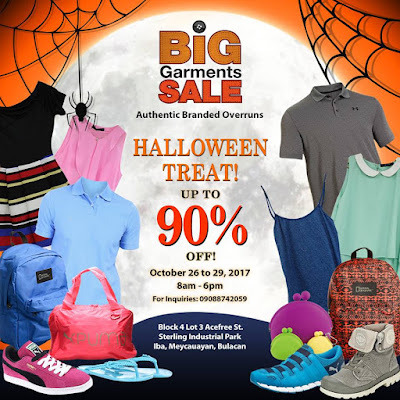 The BIG GARMENTS HALLOWEEN SALE happens on October 26-29, 2017 from 8am to 6pm at Sterling Industrial Park, Iba Meycauayan, Bulacan. Get up to 90% Off on your favorite brands like PUMA, Melissa, Palladium, F21, H&M, Under Armour, Conwood, Adidas Body and many more! 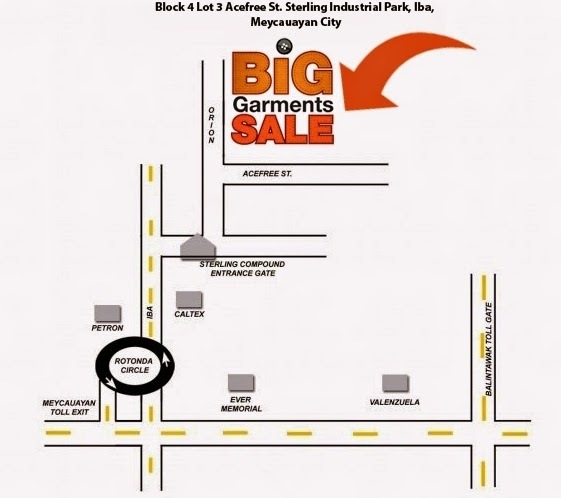 Entrance is FREE, and No minimum purchased required!